These reports indicate the 4 C (cut, clarity, colour and carat weight) quality grades of diamonds on the colour scale D-Z and sizes from 0.05 – 2.00 carats as per well-established international criteria. Before grading for quality, each diamond is first determined whether it is natural or synthetic or treated by any means. 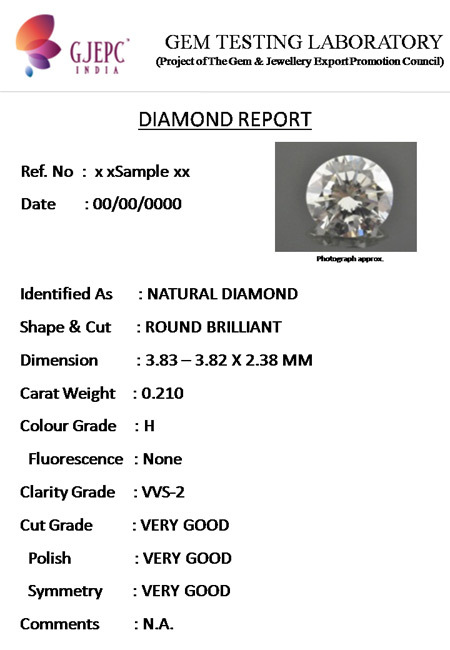 Grading report is issued for both – natural and synthetic diamond, with clear mention of its nature on the grading report. 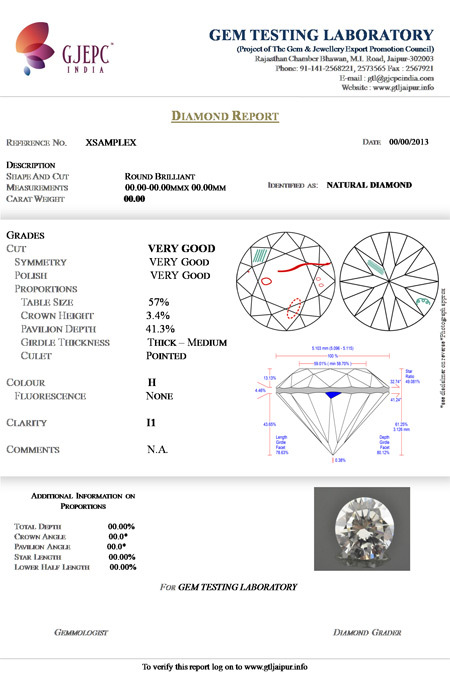 GTL does not issue grading reports for filled diamonds, while other treatments are mentioned on the reports. A set criterion is strictly followed in accordance with international criteria and a master colour comparison set. » comments: include any additional information on presence or absence of treatments, damages, any information which may help to interpret the results on the report. For security, every report is laminated, carries a colour photograph of the specimen/s being tested, a unique QR-code for report verification and a 3D hologram, which reads the logo of the Gems & Jewellery Export Promotion Council (GJEPC) at one angle and GTL at another. Also look for the embossed logo of GJEPC at top left corner of the report .